Eventually every vehicle requires maintenance and repair, but as we all know, finding service you can count on can be easier said than done. You’re probably familiar with the stereotypical service center that keeps you guessing as to when you’ll finally have your vehicle returned, and then when you do get back on the road, the repairs don’t stay fixed. It’s no wonder you’re on the search for the most reliable VW service in Tampa. One dealership has the reputation for delivering it—Reeves Volkswagen. Let’s take a look at a few ways we ensure that you’ll have an outstanding service experience. Having your vehicle properly repaired means that it not only runs properly while delivering greater comfort, but that it will keep you safe. This being the case, you want your service performed by experts. At Reeves Volkswagen, our team has been carefully selected for their experience and expertise, and their ability to consistently deliver reliable repairs. It should go without saying that you want to be back on the road as quickly as possible with minimal inconvenience. That’s why we’ve built one of the largest service center’s in the region, meaning that we can work on more vehicles at once, resulting in faster turnover times. Are you looking for saving as much as possible on your service? Of course you are, so you might be wondering about VW service specials. At Reeves, we not only offer everyday low rates, but these are bolstered with a constantly updated list of service specials that will help you get back on the road for less. You can print our VW service coupons online. Did you end up here by searching for “service near me”? Then you’ve made it to the right place. 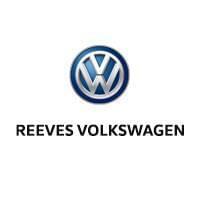 At Reeves Volkswagen, we have a reputation for providing the fastest, most reliable, competitively priced VW service in Tampa. When it comes to your driving comfort and safety, why settle for anything less? At Reeves, you’ll never have to. Schedule the most reliable VW service in Tampa using our online form, or call Reeves Volkswagen at (813) 375-3500 today.